DURHAM: Dalton Thomas Goodwin, beloved father and friend, passed away on Wednesday, November 28, 2018 at Duke University Hospital at age 71. 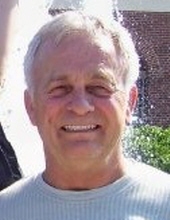 He was born in Durham on March 3, 1947, the son of the late Thomas Mallie Goodwin and Annie Christine Ashley. Mr. Goodwin is survived by his son, Michael Thomas Goodwin (and wife, Tara) of Durham, NC; daughter, Tiffany Skalko (and husband, Josh) of Austin, TX; brother, Pete Goodwin and sister, Diana Annibale. Dalton served in the US Army as a helicopter mechanic from 1968 to 1970. Dalton later met the love of his life, Theresa Cummings. They later married and had two children whom they adored. Dalton worked for many years as a general contractor at Duke Regional Hospital to provide for his family. Affectionately known as ‘Hot Rod’ by friends and family, Dalton had a passion for driving fast cars and motorcycles, and working on his 1927 Ford T-Bucket. He enjoyed creating and building things, being outdoors and travelling. Dalton will be fondly remembered for his sense of humor, caring personality, as a ‘good ‘ole boy’ and as a devoted family man. A private memorial service will be held on Saturday, December 8th at 2:00 p.m. in Mr. Goodwin’s home. To send flowers or a remembrance gift to the family of Dalton Goodwin, please visit our Tribute Store. "Email Address" would like to share the life celebration of Dalton Goodwin. Click on the "link" to go to share a favorite memory or leave a condolence message for the family.